Kathrine Switzer, The Boston Marathon, and Being Fearless! Fearless: a word I've been trying to incorporate into my life a lot lately. 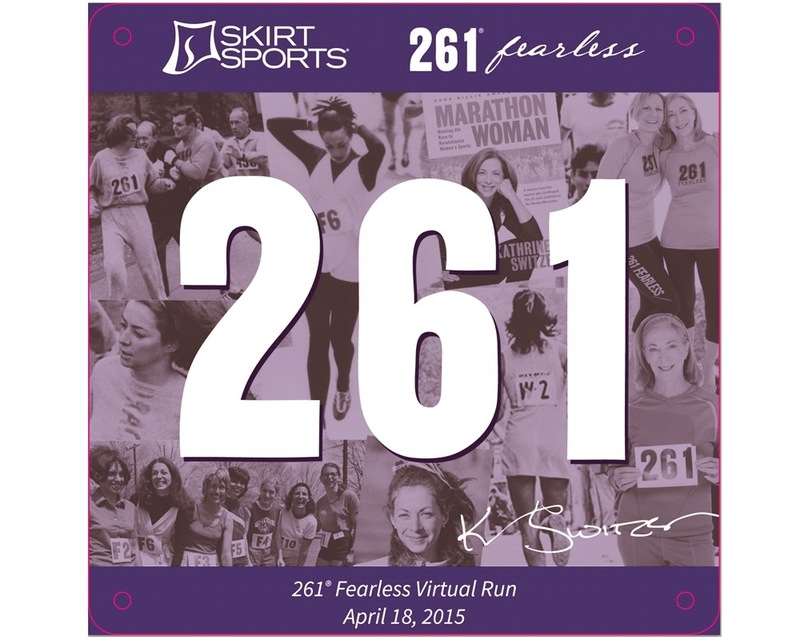 Also a word used to describe Kathrine Switzer - the first women to run the Boston Marathon and a word used to spawn the #261Fearless campaign - a new movement conjured by Kathrine and Skirt Sports. This awesome movement is all about empowering women to be fearless and pursue dreams in their everyday life (I just LOVE all of the positive messages that Skirt Sports promotes as a company - it's so cool!). This is Kathrine Switzer running her first Boston Marathon in 1967. After proving to her friend Arnie (who had ran Boston multiple times) that she was capable of running 26 miles, She signed up a few weeks before the marathon under her initials, "K.V. Switzer". She had no intentions of deceiving anyone by doing this - in fact she signed her name this way for most things, but it was because of this, that the race assumed she was a man and her registration was accepted (although the race rules actually said nothing to indicate that women weren't allowed at the time). Kathrine arrived with Arnie and a few of her college track teammates, and all was going well - most of the fellow racers (all men, of course) were actually pleased to have a woman in their presence. Until about mile 4 when the race director noticed her and tried to physically pull her off the course (when the photos above were taken). Luckily, with the help of her friends, she was able to keep going and finished in around 4 hours 20 minutes (just a little faster than my first marathon of 4:26! ), proving to the world that women were, in fact, capable of running 26.2 miles. Kathrine went on to do many more amazing things including running Boston seven more times (and taking her first marathon finish time of 4:20 down to 2:51!!! ), winning the NYC Marathon, and playing a big role in getting the women's marathon distance accepted into the Olympic Games in 1984. So let's give Kathrine a serious round of applause here! She is one awesome lady, who definitely encompasses the definition of fearless. She broke barriers and inspired (and continues to inspire) women everywhere. I really hope to be able to meet her someday (rumor has it she is at the Boston Marathon expo every year - so when I get there, hopefully this will happen!). 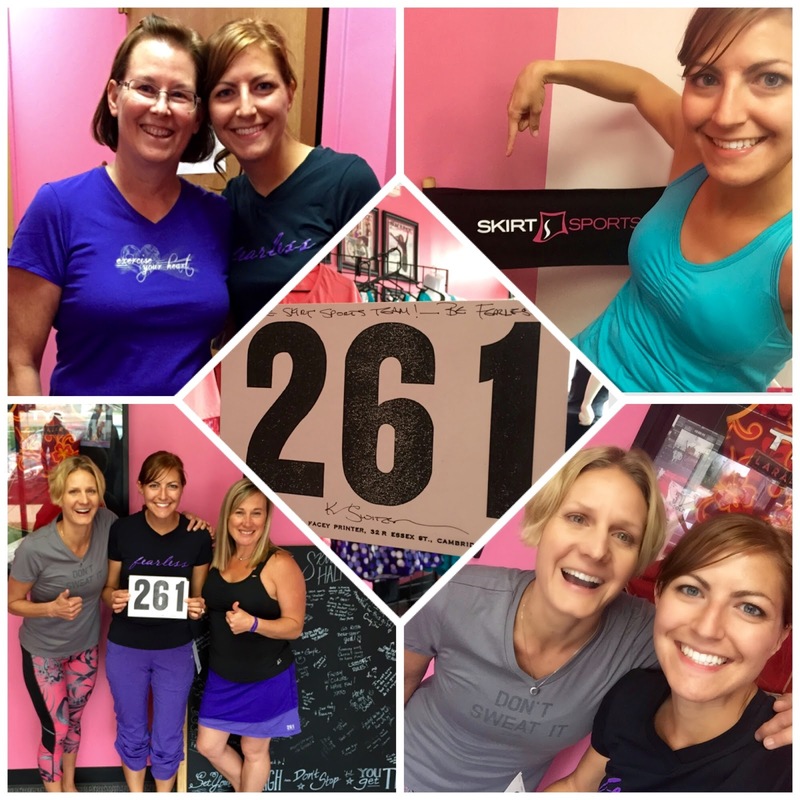 Head over to Skirt Sports for some of the clothing inspired by Kathrine and the #261FearlessMovement and check out Kathrine's book, "Marathon Women" for a more detailed story. As much as I love Kathrine's story - let's be honest - I'm just an average runner that's probably never going to do anything as big as Kathrine Switzer. But that's okay. Fearlessness doesn't have to be something as big as starting an entire women's running movement. Being Fearless just means stepping out of your comfort zone, trying something new, maybe pushing your own boundaries. I was Fearless when I ran my first 5K. I was fearless when I conquered my first 14er. I was fearless when I hit the "register" button for my first marathon. 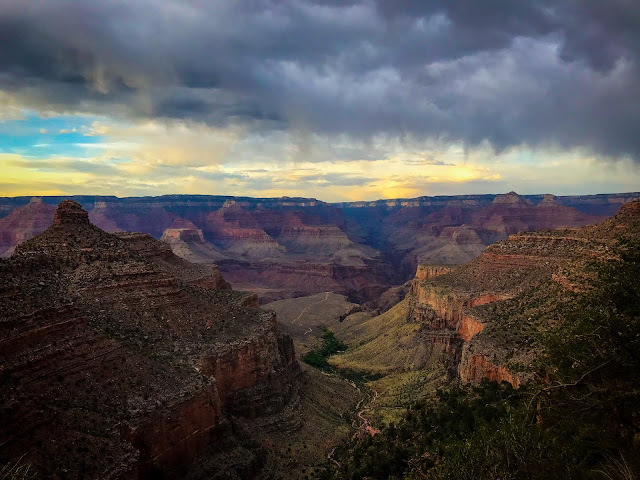 We can all be fearless (and no it doesn't even need to be related to running - you are fearless when you start a new job, pursue a new hobby, or for those of you who have had children, when you became a mother - talk about the ultimate fearlessness)! I started running a few years ago and have loved it, almost from Day 1. I'm not a naturally fast runner, which is why I immediately got drawn to trying and exploring longer distances and trail races. Last year, only in my second full year of running, I ran 7 marathons and 3 ultra marathons. However, despite all of that, this year I am doing something way more scary to me: trying to Qualify for the Boston Marathon. Now - considering all that I've accomplished in the past few years - it may not seem that much scarier than the things I've already done to most people. I mean, I've ran 50 miles before - why is trying to Boston Qualify so much scarier? Well, because it pushes me out of my comfort zone. By a lot. Running fast is uncomfortable. It's hard. The mentality to push through the pain to run fast is something that I really struggle with. But running Boston is also a dream I want to pursue. I can already visualize the excitement of running one of the most iconic races in history. Which is why I intend to be fearless with this goal. I can do anything I set my mind to! I will get to Boston someday! No matter how many fearless mornings it takes waking up at the crack of dawn to get my run in before work. No matter how many times I have to struggle with the voice inside me that tells me I don't want to head to the track, the same voice that constantly asks myself, "why am I even doing this?" But I have decided that no matter how much time it takes, or how many races it takes, I will get there. I will be fearless. 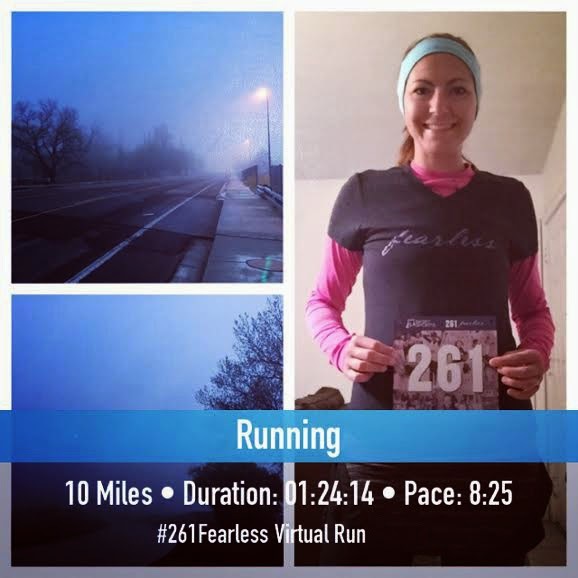 As part of the #261Fearless Movement, Skirt Sports is hosting an awesome virtual race this weekend, and I can't wait to participate! Since speed is something I'm really working on to be "Fearless" about, my goal for this race is to run 26.1K at Goal Marathon Pace (16.2 miles at 8:00-8:10 pace - YES this is going to be insanely hard for me). I might not be running Boston this Monday, but every run I do is pushing me closer to getting there - including this one! To finish up my post, I just wanted to give a quick recap on Skirt Sports: I know I briefly mentioned a few posts ago that I was accepted to be one of their ambassadors for 2015! I am so excited about this because not only are their clothes awesome, but the company is even more awesome (if that's even possible)! The founder of Skirt Sports, Nicole DeBoom is a former pro-triathlete who simply wanted to wear clothing actually made to fit women's bodies rather than men's, and (what a concept) look pretty while doing it. She started dreaming up Skirt Sports and wore her first running skirt prototype at the 2004 Ironman Wisconsin - which she WON (I know, bad a$$, right?)!!! Clockwise from the top left: My mom and I trying on Skirt Sports clothes; Me sitting in the Skirt Sports directors chair; Nicole and I; Nicole, Noelle (head of the ambassador program), and I. Center: a signed copy of Kathrine Switzer's 261 Bib! 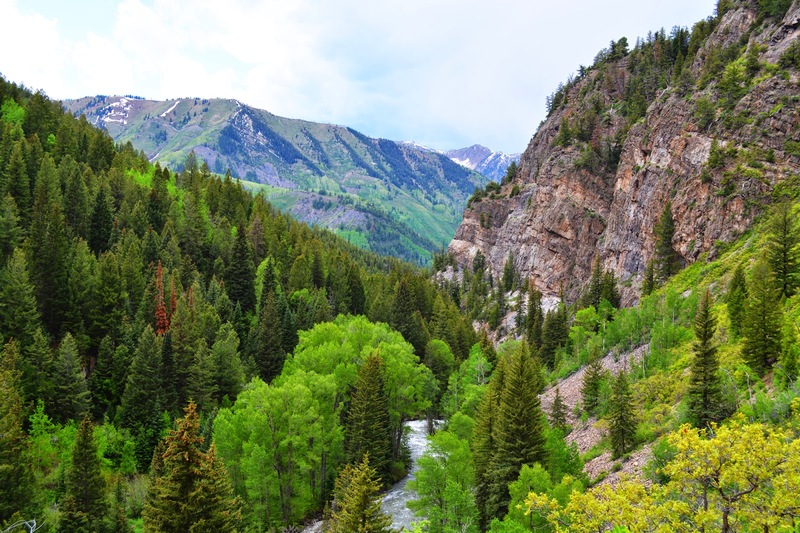 Skirt Sports will be having two other races this year - their 13er (because it's "not half of anything" - this has both a virtual and local option in Louisville, CO), and a virtual Boobie Run in the fall (to celebrate the ta-ta's and try out one of their awesome bras). I highly encourage you to sign up - these are going to be awesome events! Feel free to use my ambassador code SSMAA for 20% off any of their virtual races or on any regular purchases! Nothing badass happens in your comfort zone. Wow! Your goal for this weekend's virtual race is incredible! Good luck! Yeah, we'll see if I can do it :)! Way to go! I love that you're pushing yourself to meet your goal. You can do it. thanks for sharing katherine switzer's story. 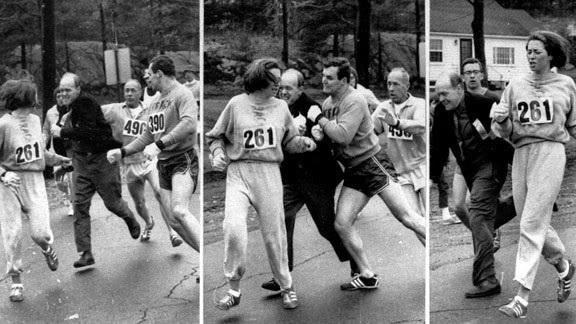 i knew she was the first woman to run the boston marathon, but i didn't realize the amount of badassery and courage it must have required for her to run it given the male runners' attitudes at that time. SO inspiring!